Last year our faithart Facebook group decided to use one journal for everything for the whole year. 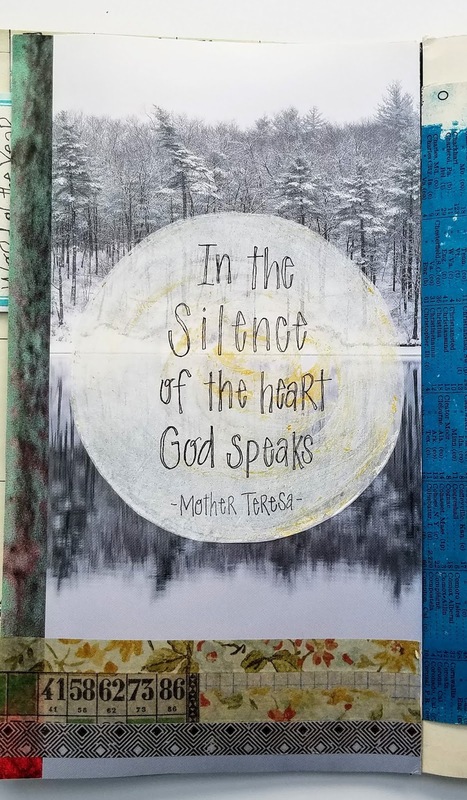 I did it, with the exception of my Colossians Words and Advent Words challenges. Can I tell you how hard it was for me to just use one journal! So it seems that even art is about self-discovery. 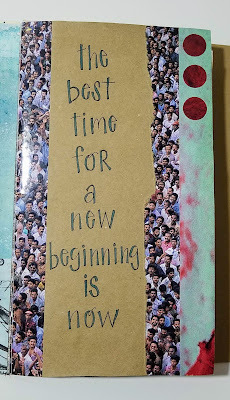 I learned through that challenge that part of what I really enjoy about art journaling is making the journals themselves. 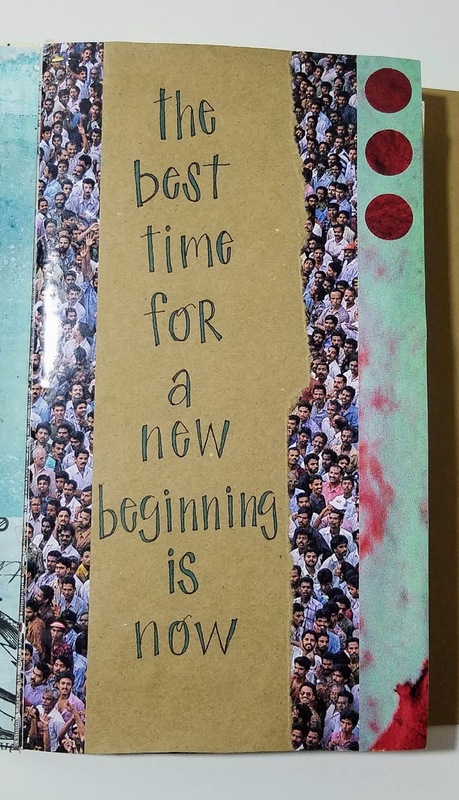 I love the creativity of making a journal or book. I like trying new ways to bind them. It actually inspires more creativity for me. So, this year, I have a different approach. I've been following some people on Instagram who make junk journals and it really appeals to me. 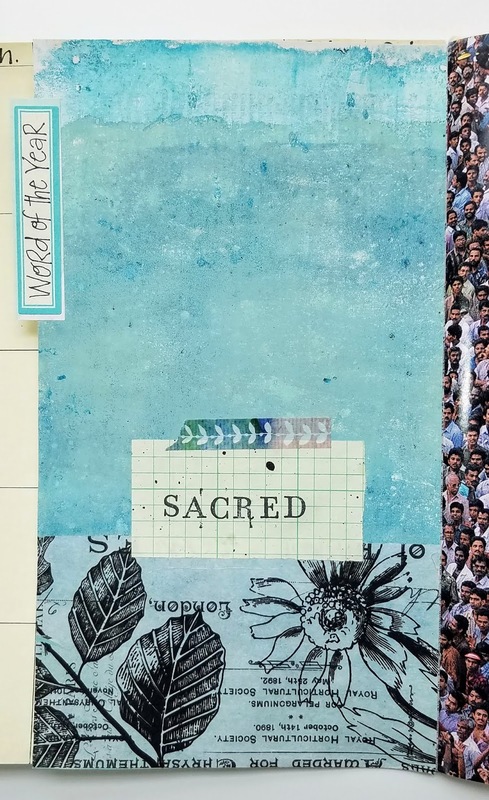 Junk journals combine using vintage papers and ephemera with the concept of a commonplace book. 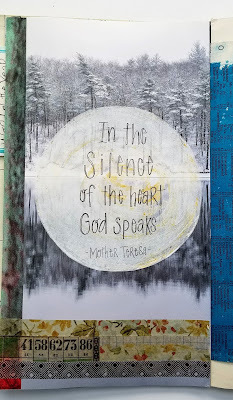 (For a definition of a commonplace book read this post or this post.) The appeal of junk journals combined with my enjoyment in making journals is going to be lived out this year with a monthly junk journal. 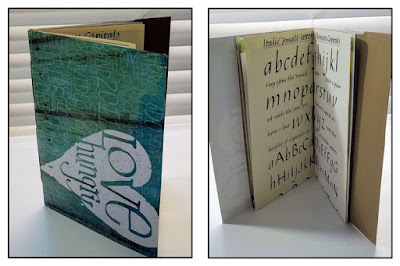 This way I will get to experiment with making a variety of journals and sizes. 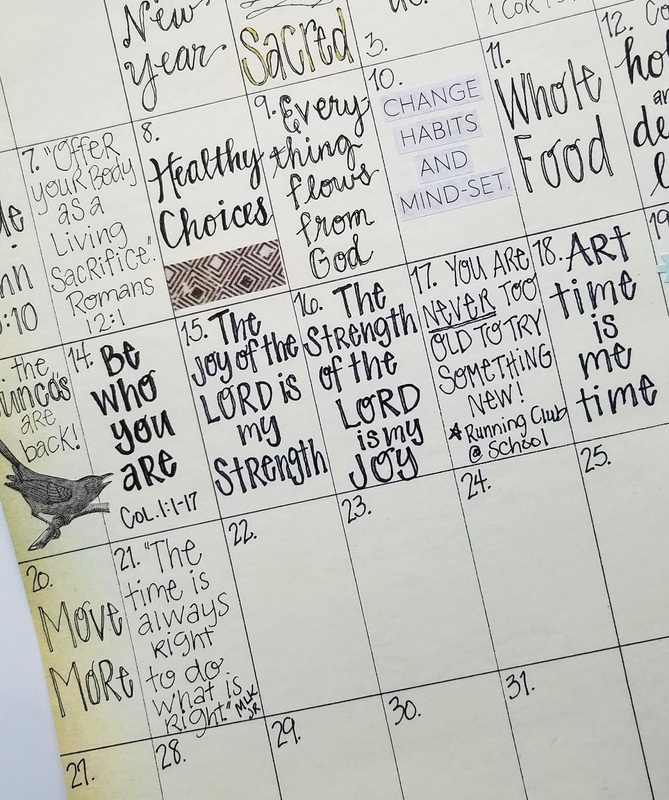 Last week I shared about the January junk journal I made and how it served to break me out of the creative slump I was in. 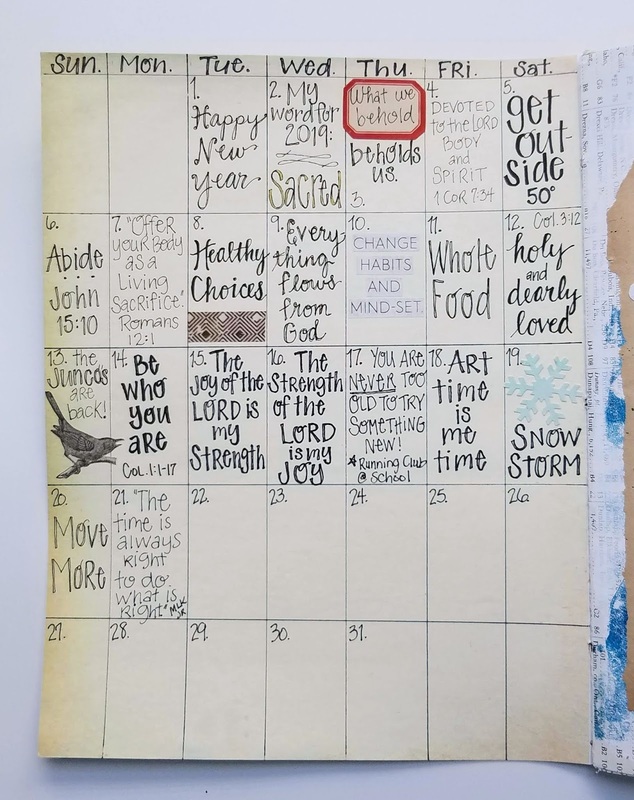 Valerie Sjodin shared a post recently about making calendar pages in her art journal. 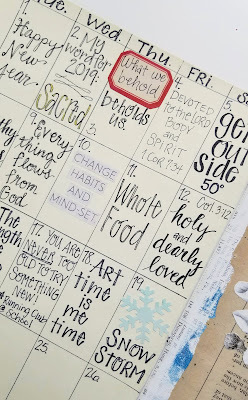 I have watched over the years how she decorates her calendar page, but it just didn't seem my style. That is, until I started thinking about commonplace books and the purpose of writing down quotes and things you want to remember. 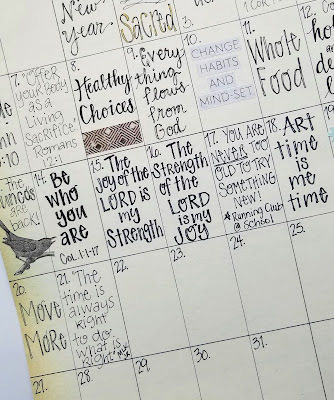 So I made a calendar page in the front of my junk journal and have been adding things from books I'm reading, from podcasts, from my calendar, or just a Bible verse that was significant that day. Then I'm filling the pages with prompts from different groups or challenges, such as Life Documented and Junk Journal January. It seems that another bit of self-discovery is my need for variety when making art....a bit of a contrast to my daily routine driven personality! 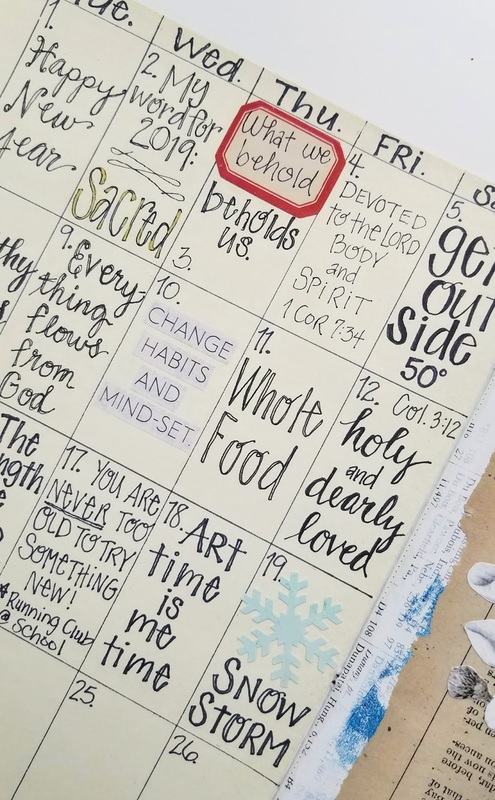 What have you learned about yourself recently through art journaling or some other creative habit? Feel free to share in the comment section below.